There have been a lot of excellent roundtrip prices from Toronto to Australia lately, in the range of $900-$950 CAD roundtrip including taxes, even with great airlines like Qantas. And even a few record-setting prices in the $700s roundtrip, with not so great airlines like United. But if you've ever tried to book a one way flight to Australia, you've probably realized that the airlines tend to price their one way flights close to the same price as their roundtrip flights. They're usually a minimum of $1100. One way flights on Air Canada for example, are going for a minimum of $1500 CAD at the moment. And even with the great Qantas roundtrip prices lately, one ways are still $1100 CAD. But American Airlines is currently showing 1-stop flights from Toronto to Sydney, Australia for $499 to $520 CAD roundtrip including taxes, about half the typical cost of a great roundtrip price, which is unusual. Not only is that generally a lot cheaper than booking a one way flight to Australia on one ticket, but it can help break up the long journey with some time in Hawaii. WARNING: Australian immigration officials or even the airline itself may want to see proof that you have a ticket to get back home. Or at least, a printout of your bank statement to prove that you have enough money to get home. Click on the departure date box to browse for cheap date combinations. Look for the flights that are $562. Try the same date you found on Google Flights. 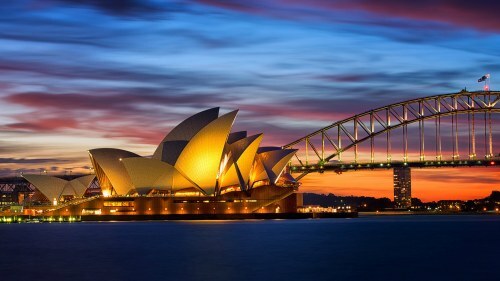 toronto, yyz, flight deals, american airlines, sydney, australia, syd, australasia, oceania and one way. No Responses to "One-way flights from Toronto to Sydney, Australia - $499 to $520 CAD including taxes"